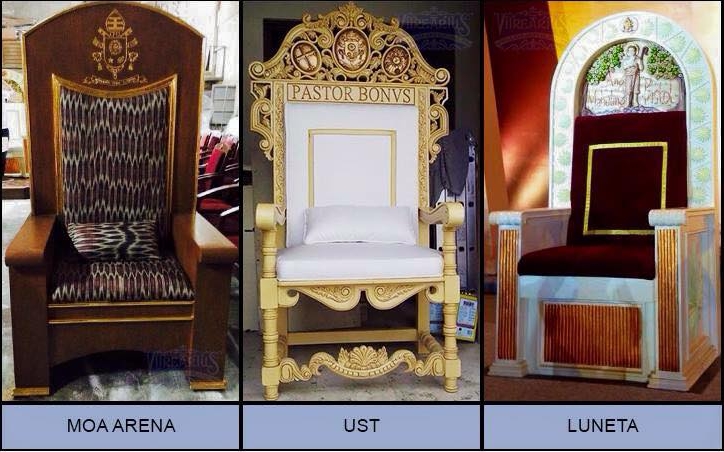 Ever wonder who provided Pope Francis church furniture used in the apostolic visit in the Philippines between January 15-19, 2015? VitreArtus Glass Art Co., Inc.’ offered its services six months ago to Fr. Genaro Diwa, head of the office of liturgy of the Archdiocese of Manila without asking for anything in exchange. Engr. 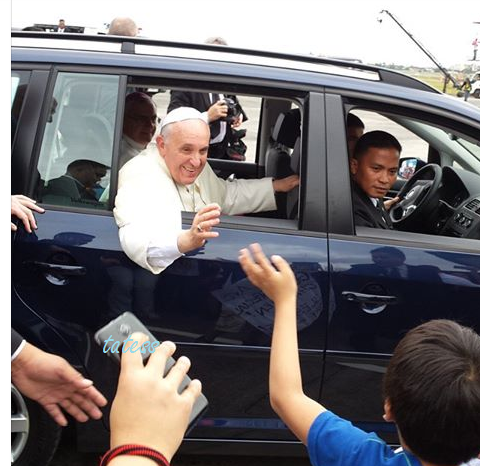 Cruz considers it a blessing to him and to VitreArtus when the invitation did come (CBCPNews). 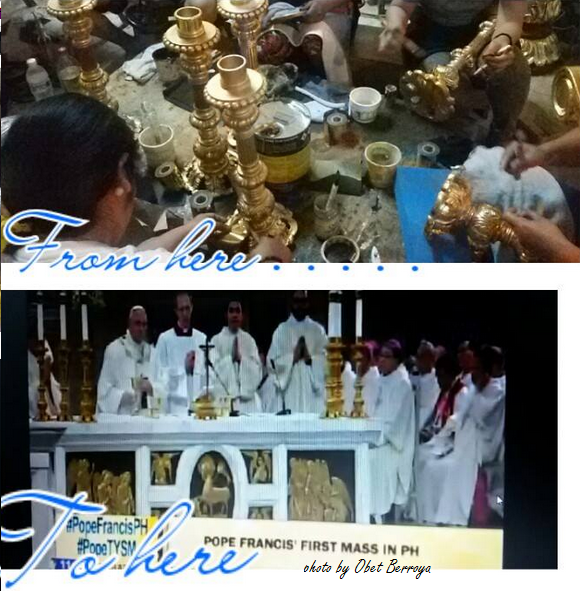 Engineer Robert M. Cruz, liturgical furniture maker and President of VitreArtus Glass Art Co., Inc., based in San Pedro, Laguna, started the company on 1990, designing, manufacturing and exporting decorative art glass (stained glass), church interior furnishings, statuary, wrought iron. For almost 25 years, the company provided Catholic churches and other institutions in the Philippines and abroad with liturgically and theologically correct religious art, iconography, and furniture. 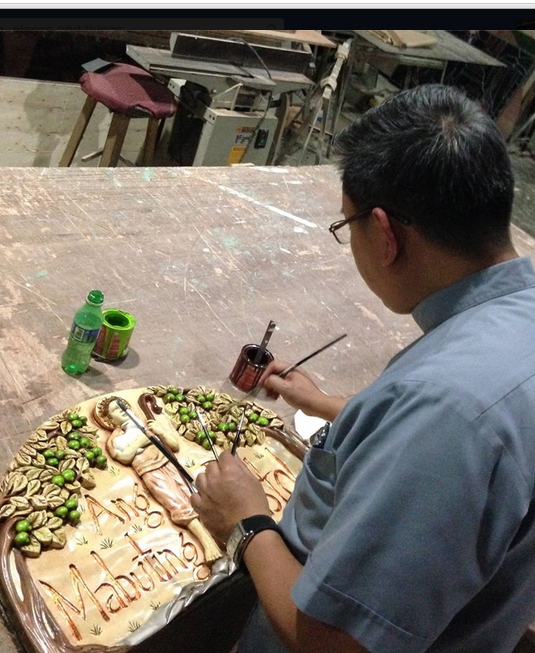 Finishing touches of the 'Mabuting Pastol' relief sculpture by Fr. Alex Bautista. 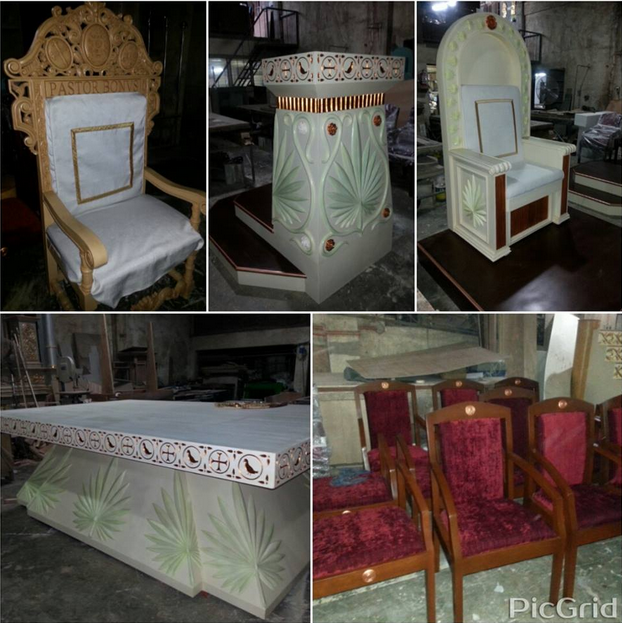 A glimpse of Papal furnitures at VitreArtus workshop before the delivery to Manila. There were 70 artists who helped to make this once in a lifetime opportunity to be a part of history. They worked from 7 a.m. until 10 p.m., except holidays. VitreArtus Glass Art Co., Inc.
In-charge in administration, marketing/promotion, QC dept, HRD.